It has been a while since my last post, so here is a collection of recent news that might be worthwhile to check. Firstly, if your beloved mom still wonders what kind of music techno is, you might want to put a Planetary Assault Systems record under your plastic Christmas tree as a gift to her. Luke Slater‘s alias has indeed always stood for classic, heavy pounding, trippy material. For a while, Slater had laid his intergalactic warfare material to rest but exactly five years ago, Planetary Assault Systems returned in full-blown fashion. 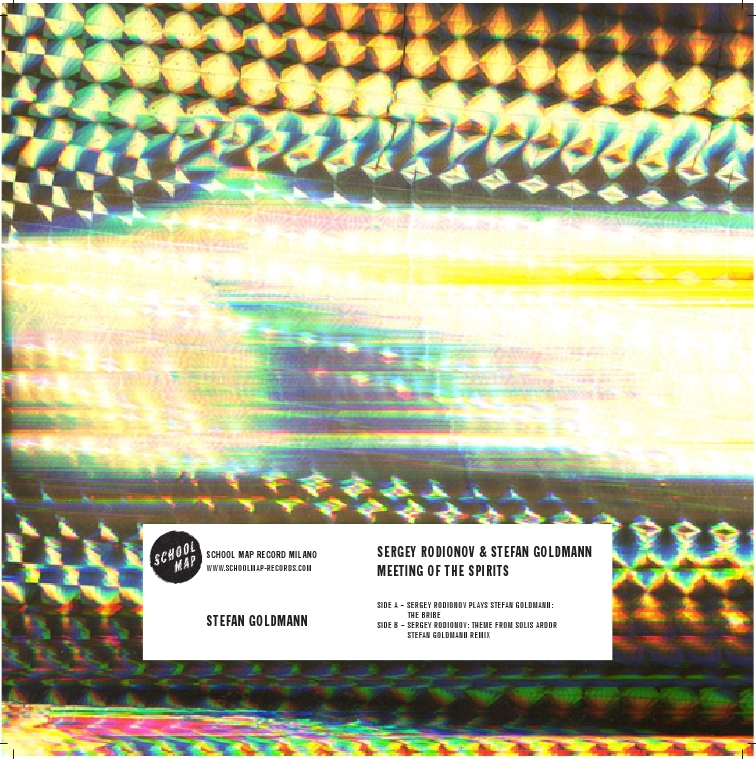 Slater has now rereleased the oldie “Function 4” (originally from 2000) on his own label Mote Evolver together with new remixes done by two serious names in the genre respectively: Marcel Dettmann and Chris Liebing. The original is a dry, futuristic sound piece with the kind of vocal samples which are a trademark of Slater. Liebing doesn’t alter much and keeps the same feel, albeit a bit more crispy and polished. 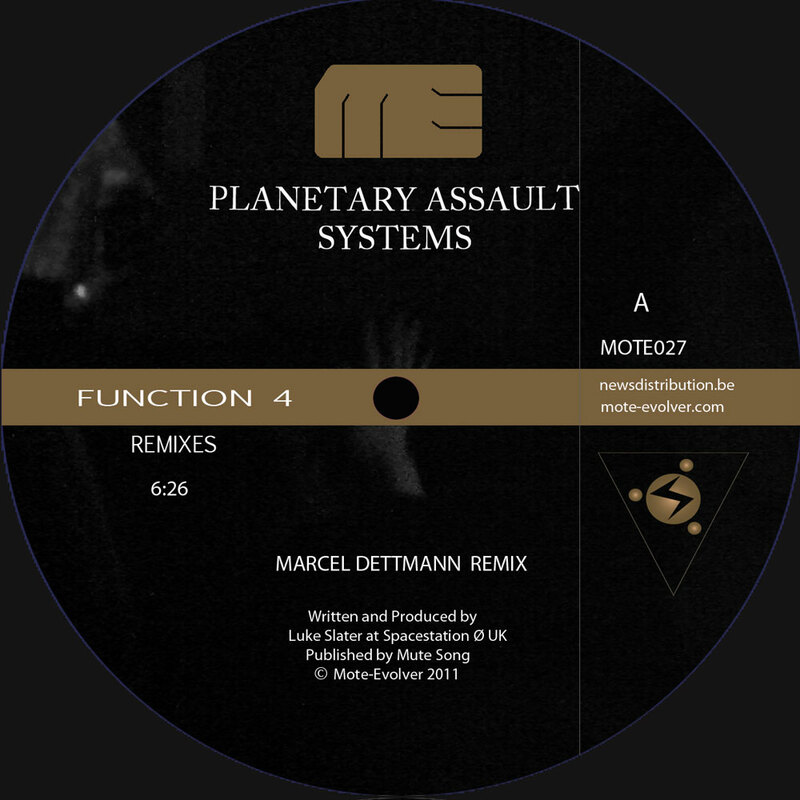 Dettmann on the other hand forged the track into an even more whopping, old school version that resembles Steve Stoll’s work as Blunted Boy Wonder. Perc is a producer and dj I have been following for quite some years now. In 2011, the man released his debut album “Wicker and Steel”. The title was aptly chosen, since the record turned out to be nothing less than a soundtrack to a wretched, industrial wasteland. It makes you easily visualise enormous steel factories, old grinding mills, large pumping equipment, rusted pipelines, slabs of Cor-Ten and so on. In fact, I would advice to listen to it while reading artist Robert Smithson’s essay “The Monuments of Passaic” (1967) and look closely at the accompanying photos – it works perfectly. A while ago, Perc brought out a second digital EP on his own label Perc Trax containing remixes of some of this material. It starts with “Choice”, which is also the opener of the full-length. 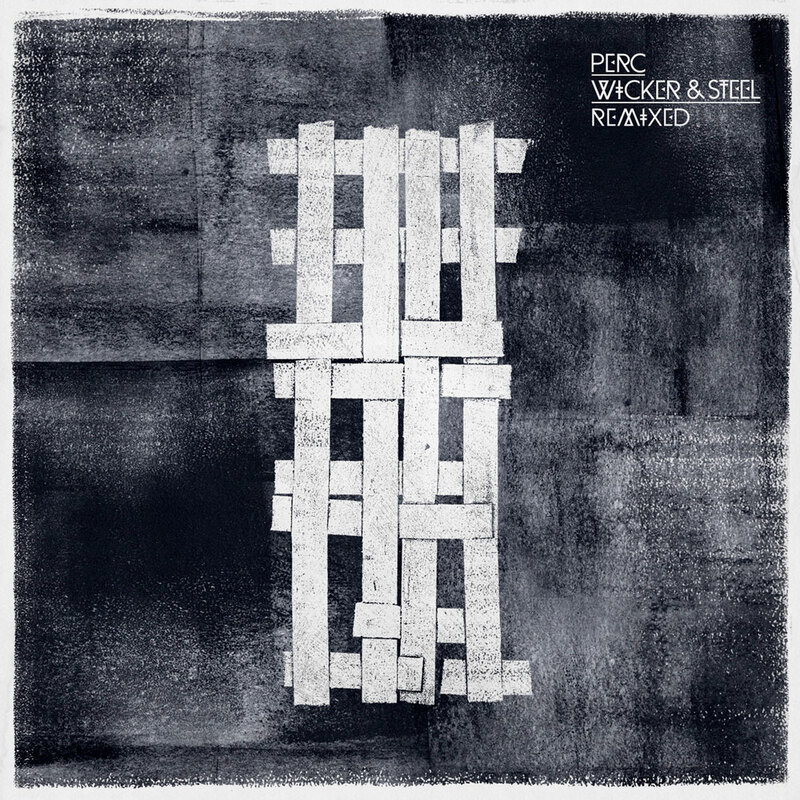 Here we get a beautiful, atmospheric version done by Walls, a duo know for its weird ambient on for instance Kompakt. Ruaridh Law, also known as The Village Orchestra or as a writer for FACT magazine, made two different mixes of “You Saw Me” which are more than interesting. Lastly there’s Tengui who is a resident at the Colony parties in London and who nicely emphasises the drone waves of “Pre-Steel”. Furthermore, the English talent teamed up with Italian techno producer Giorgio Gigli as Endless since the beginning of this year. 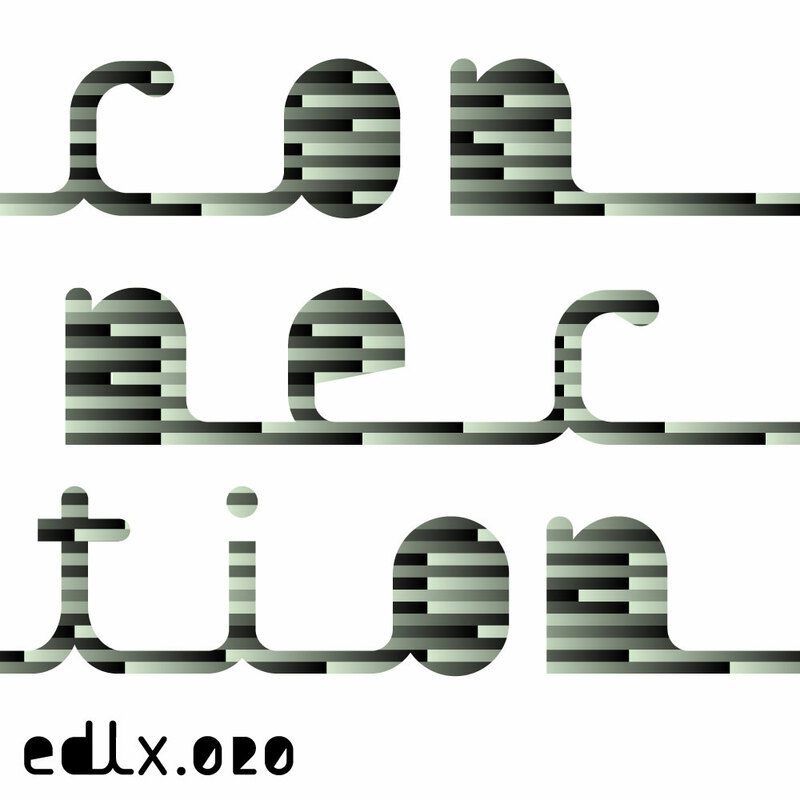 “Connection” on Electric Deluxe, the label run by Speedy J, is their second release and came out after the duo’s first live sets, of which one was done in Berghain only a month ago. The EP (digital only) consists of three tracks and three tool remixes. All three numbers are rather slow, heavy thumping as well as extremely intense due to the carefully added industrial sounding components. It is a successful exploration into the darker domains of techno. Suppose a prolific techno producer – one which I value highly, yes – would collaborate with a pioneer of electroacoustic music and a creator of arty soundtracks from Russia, what would be the result? Well, German Stefan Goldmann met a certain Sergey Rodionov at the Don State University in Rostov-on-Don. They both chose a song from one another’s catalogue and transformed it in their own fashion. The result was released by the small, Italian label School Work and turns out to be really awesome. You better believe it… It’s awesome! And there’s also an authentic video, which is… ehrm… AWESOME!